Trépieds lumières Il y a 7 produits. 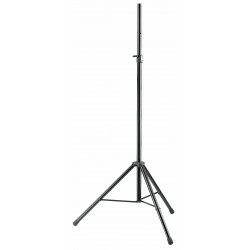 High quality lighting stand for professional use. New die-cast zinc clamps and the larger aluminum leg tubing enhance safety. 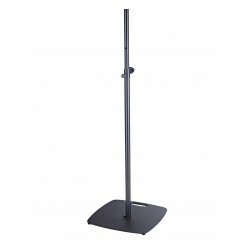 Height adjustment to any height is by means of a hand crank and push button system. The integrated M10 thread adaptor can be used to attach crossbars 213/9 and 21393. Rigging 24613 included. 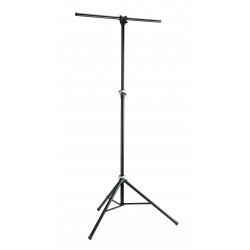 Extending to over 4 m, this lighting stand is for professional use. 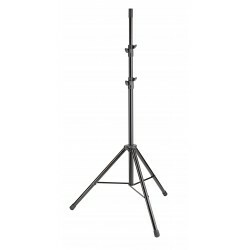 The new zinc die-cast clamps and the larger steel leg tubing give this top of the range stand more stability. 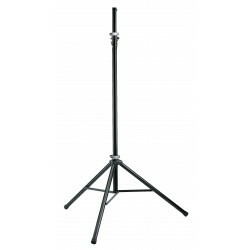 The standard lighting stand constructed from steel tubing has been significantly improved. The new legs with tubing diameter of 35 mm guarantee stability and safety. 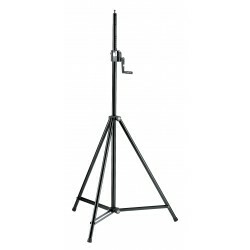 Easy to transport, lightweight aluminum lighting stand, extension rod with adapter to take a TV pin (inner extension tube diameter 28 mm). Stable tripod construction. Height adjustable with handy clamping levers and additional safety pin. 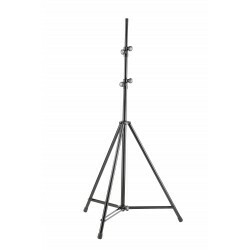 Lightweight aluminum lighting stand with cross bar. Stable folding 3-leg construction. Height and feet adjust by an easy-to-use clamping lever. Additional safety pin ensures secure support. Cross bar with boreholes for up to 8 spotlights. Optional corresponding screw fitting set 24621 available.